There are many different types of beds out there and each person needs to find the bed that works best for them. An adjustable bed can offer certain comforts and features that a standard bed might not be able to accommodate. 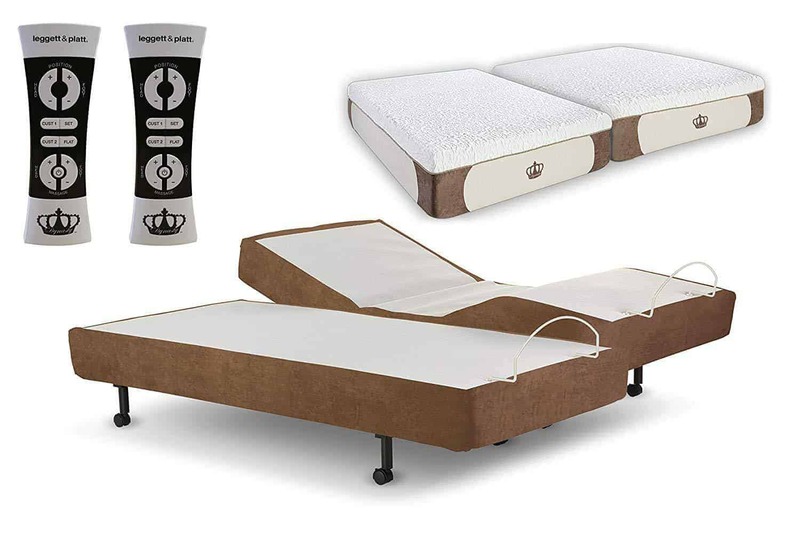 You can find some of the best adjustable beds here. An adjustable bed can help place your body in the best sleeping position. It can help you maintain the natural curve in your back which will relieve any pressure or pain you might have in your back. This seemingly simple adjustment can help solve many pain issues that keep you awake at night, tossing and turning. When you sleep on a traditional flat bed, you create pressure points on different spots on your body like your hips, shoulders, and neck. An adjustable bed can help evenly distribute your weight throughout your body so that you don’t have any pressure points. Having no pressure points while you sleep will cut down on restless sleeping. Lying flat on your back causes your heart to have to work a little harder to pump blood through your system. If you have heart problems or a disease like diabetes which causes circulation problems, a flat bed will only exacerbate these issues. Using an adjustable bed will lift your heart above your feet and make it easier to move blood through your body and improve circulation. It will also ease the unnecessary strain on your heart and keep you sleeping comfortably. There are a lot of different sleep issues that can keep you awake at night. Snoring, sciatica, asthma, insomnia, and even arthritis. All of these problems can be helped with the use of an adjustable bed. Because an adjustable bed has so many different positions, it is easier to find a position that works to alleviate your problem and let you sleep. Also, if you have acid reflux or heartburn, an adjustable bed can be key in allowing you to sleep at night. Raising your head and shoulders allows acid in your stomach that can irritate your heart and esophagus to stay away from your upper body. What Types Of Adjustable Beds Are Out There? Adjustable beds have come a long way. They are no longer found only in hospitals or long-term care facilities and come with a lot of features that make them just as comfortable as other types of bed. You can find an adjustable bed that will fit your needs, decor, and bedroom. There are two main types of controls for adjustable beds, hardwired and wireless. The hardwired system is the most traditional of the two and has a cord that connects the control panel to the bed base. You can either get a low or high voltage system depending on what you need. A hardwired system will tend to be less expensive than a wireless system, but it does have a few disadvantages. The cord can be a tripping hazard and there is a chance of electrical shock if liquid gets onto the control of a high voltage system. You can also find wireless systems for adjustable beds. The control is wirelessly connected to the bed so you don’t need a cord to make anything work. This is a little more expensive, but it can be a safer system and allows the bed to be controlled from a distance. You can find a large variety of different mattresses that will work with adjustable beds so once you find a mattress that meets your sleep needs, you can use it on an adjustable base. Many companies will sell the adjustable base and mattress as a set, but you can mix and match what you need in the mattress with what you need in the base. 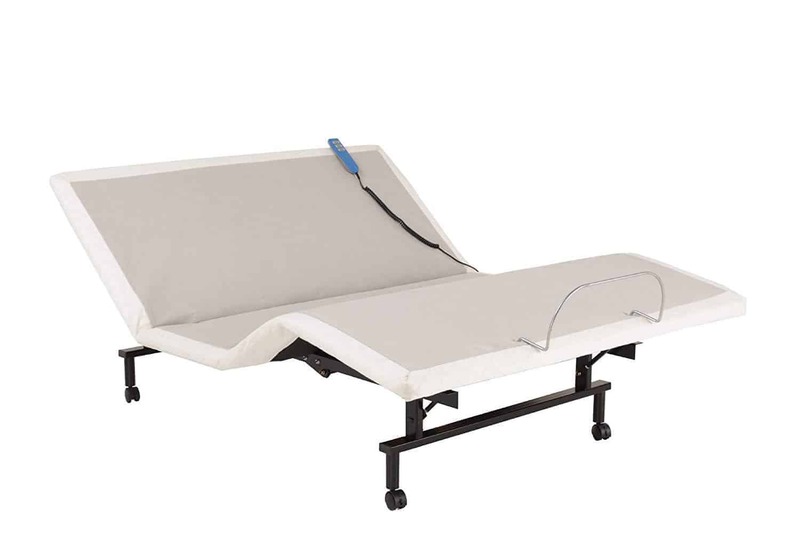 This is quickly becoming the most popular choice for adjustable beds. Just like an adjustable base adds certain benefits and comforts, a memory foam mattress provides even more. It will mold to your unique body shape to alleviate pressure points, provide optimal support, and keep a high level of comfort. An innerspring mattress for an adjustable bed is very similar to regular innerspring beds, but with a slightly more flexible border so it can move with the base. If you like your regular mattress, this would be the best choice for your adjustable bed. Just make sure it can move with your base. These types of mattresses are usually found in hospitals and hospice care. The air support mattress works best for someone who will be spending the majority of their day in bed. It can help move pressure around and avoid the occurrence of bedsores. They are becoming more popular now with couples because each person can choose their own level of support. If you like your bed softer or firmer than your partner, then this might be a good choice for you. This bed is a twin XL adjustable bed base, with the mattress sold separately. It is made of mesh metal and has a dual motor system so you can adjust both the head and the feet. It uses a hardwired system and comes with a remote control that plugs into the bed. This bed is less expensive than other bed systems, but that is because it is sold without a mattress and is only a twin size. The bed is also a little shorter than other beds so if you need a taller base, this might not work for you. It does come with a two-year warranty, so if you have any problems they could be covered under the warranty. This is another adjustable base only bed, it does not come with a mattress. This base comes in sizes to fit a twin XL, full, or queen mattress and has a very powerful motor that can lift up to 650 pounds, including the mattress. The Serta base has a double motor that will lift both the head and the feet. It is operated by a hardwired control connected to the base. The control is a simple four button system that is easy to use and you can increase the speed of movement with rearticulating the button. If you already have a mattress that you like and that will work with an adjustable base, this bed might be the best for you. Serta also has a variety of mattresses that you can purchase to go with this adjustable base. The Leggett and Platt ShipShape adjustable bed is an ultra flexible and super lightweight base that comes in twin XL or queen size. This system does not come with a mattress but will work with most mattresses available. It has a whisper quiet motor which can be nice if you have to readjust your bed in the middle of the night. The control is hardwired and connects with a cord to the base. It has six buttons that can move the head and feet up and down on their own or together. This base has a lift capacity of 425 pounds and comes in a neutral color to fit any room’s decor. This bed is also from Leggett and Platt but has more high-end features. This base comes in twin XL, queen, split king, and split California king. It does not come with its own mattress, but like their other bases most mattresses will work with this adjustable base. Along with the very quiet dual motor, it comes with a 700 lift capacity and wireless remote control that is backlit for easy use in the dark. The remote control is shaped to be able to stand up on its own so you can reach it easily in bed. With this adjustable bed, you can program two custom positions and it also comes with a massage feature for even more comfort while you’re in bed. While this bed doesn’t come with a mattress and is a little more expensive, it does come with a 25-year warranty. This is a high-end adjustable bed system that comes with the adjustable base and a CoolBreeze gel mattress. The adjustable base comes with a whisper quiet dual motor and a wireless remote control. The base moves at the head and the feet and it also comes with a massage feature. The CoolBreeze gel mattress is made of high-density memory foam with gel beads inserted throughout, to help keep the bed cool while you sleep. The mattress is certified CertiPur-US, so it is made without harmful chemicals. This is a split adjustable bed, so each side can adjust the bed to their preference. Each side comes with their own remote control that allows you to program your own custom position.